Lucky Site 123 is a browser hijacker that must have entered your computer along with free software. You need to start paying closer attention to how you install programs because you allowed this hijacker to enter yourself. It is not malicious but it will make unwanted changes to your browser and redirect you to sponsored web pages. It does that because it aims to generate pay-per-click income for sponsored pages. While browser hijackers are usually pretty harmless, you could be led to a malicious page where malware could be waiting for you. A simple browser hijacker infection may lead to a serious malware problem. If you care about your computer’s security, we strongly suggest you remove Lucky Site 123. How does Lucky Site 123 spread? 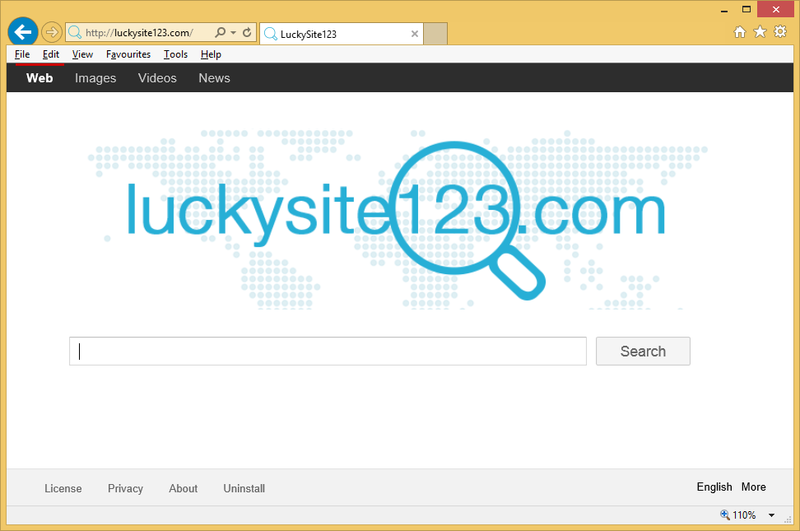 Lucky Site 123 spreads just like any other browser hijacker, via free software. It’s attached as an optional item to certain freeware, which means that when you install the freeware, Lucky Site 123 installs as well. You will need to use Advanced (Custom) settings if you wish to have control over what gets installed onto your computer. In those settings, you will be able to clearly see what has been added. You need to uncheck the boxes of those added items and that will prevent them from installing. Do not rush through the installation process because that is why you are stuck having to uninstall Lucky Site 123 now. Why delete Lucky Site 123? Lucky Site 123 removal is not difficult but you will need to find and erase Lucky Site 123 related freeware. Instructions on how to eliminate Lucky Site 123 manually will be provided below. However, if you are having trouble, you may need to obtain professional removal software. The program would find and delete Lucky Site 123 fully.